My husband loves brownies. He started making googley eyes at the bag of Andes Mints I brought home from the store and I knew just what I had to do. 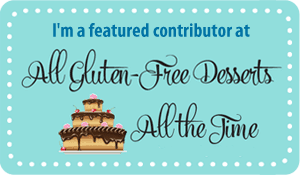 While that gluten free fudgy brownie recipe is one of my favorites, it isn’t his cup ‘o tea. He likes a chewier brownie, like my gluten free chewy dark chocolate brownies made with almond flour and melted chocolate. While I love that recipe (it is so so so good!) I like having a recipe on hand that is just a “mix and pour” brownie mix-style recipe. 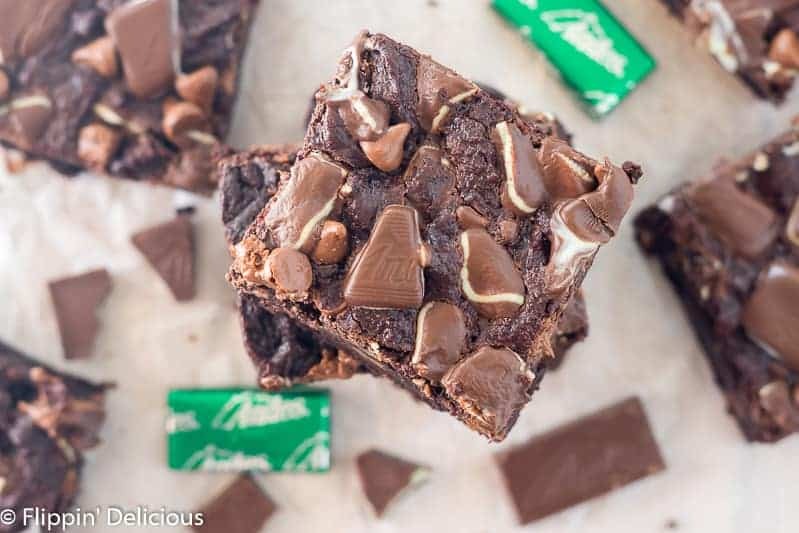 With a few adjustments and tweaking to my original best gluten free brownies recipe, he dubbed these gluten free Andes mint brownies “the best brownies ever”. In a lot of ways, I agree with him. These are the new “best brownies ever”. They are the perfect middle of the road, make everyone happy brownie. They satisfy the fudgy brownie lovers (like me! I’m all about that under-baked gooeyness), while still being chewy and just a little cakey. The texture will satisfy everone’s brownie craving! Of course I could never abandon my other brownie recipes, but I have a feeling these brownies will be a new staple in our house hold. With and without the Andes on top. 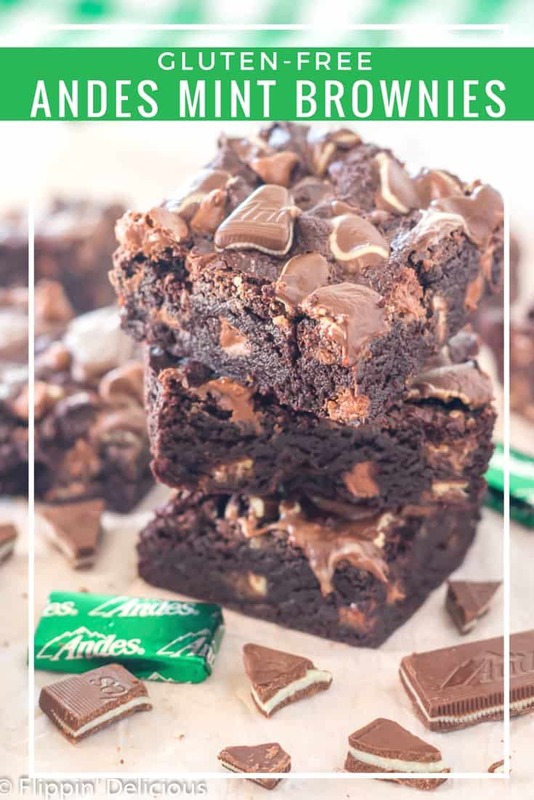 Also, you can’t beat the extra milk chocolate chips and Andes mints that are folded into the brownie batter and sprinkled on top. 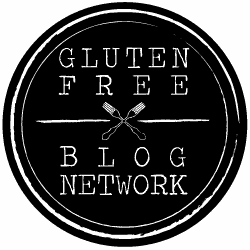 If you are looking for a vegan brownie recipe, my friend Demeter has you covered with her Fudgy Vegan Paleo Brownies. Let’s start baking these gluten free Andes mint brownies! 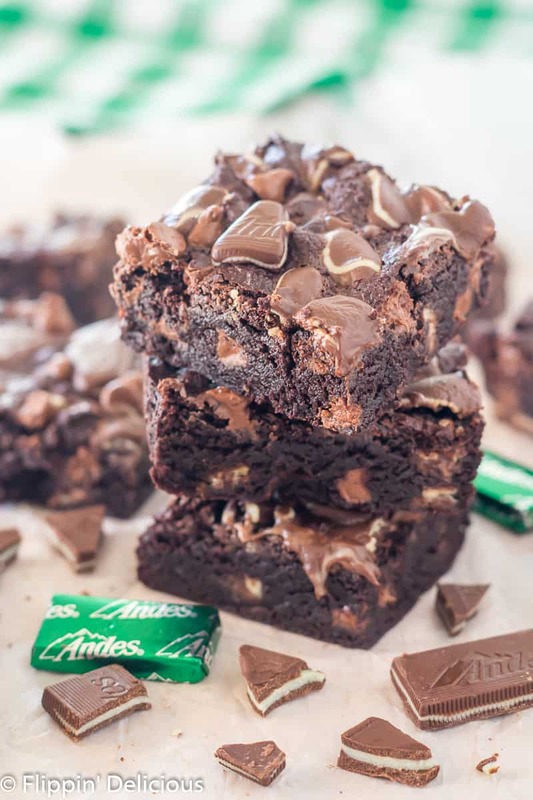 Gluten Free Andes Mint Brownies have the perfect balance between a fudgy, chewy, and cakey brownie. 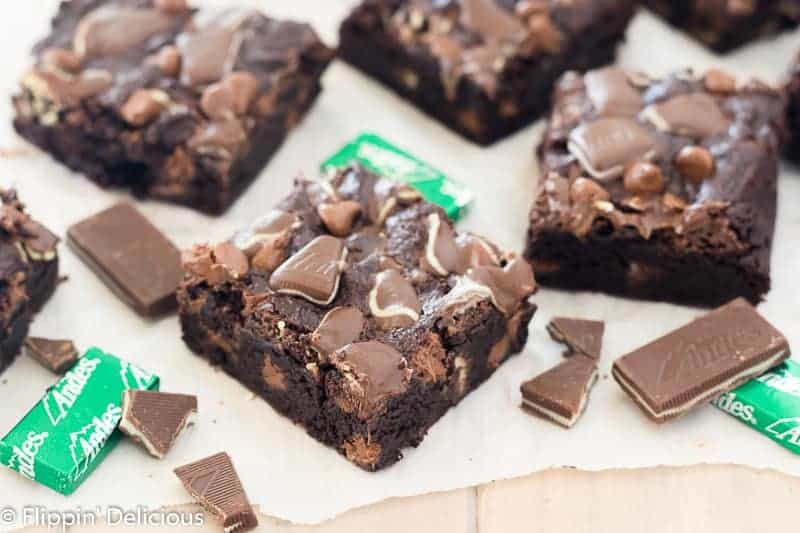 Loaded with Andes mints and milk chocolate chips, they were dubbed by my husband, "The perfect brownie for everyone." Preheat oven to 350°F. Line an 8x8 baking dish with parchment paper. In a mixing bowl, mix together the butter, sugar, and cocoa powder. Mix in the eggs, salt and vanilla until well combined. Stir in the gluten free flour and xanthan gum (if needed). Sprinkle about 3/4 of both the Andes and chocolate chips into the batter and mix until they are evenly distributed. Sprinkle with the reserved chocolate chips and Andes mints. Pour the batter and spread evenly in the prepared baking sheet. Bake until a toothpick inserted near the center comes out almost clean. Cool before cutting. “The best brownie for everyone.” Except for those of us who can’t do dairy. 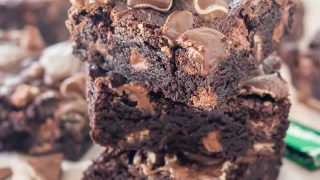 😭 I need to find a dairy free Andes-like candy because these brownies look INCREDIBLE and all your recipes are so good. I know the struggle, my toddler can’t do dairy. These brownies were just for mom! You can make the brownies dairy-free buy using your favorite vegan butter or even melted coconut oil instead of the butter. Load it up with lots of dairy free chocolate chips, and add some mint extract. Be sure to use the mint extract sparingly so you don’t end up with toothpaste flavored brownies. That is a great idea! Let me know how it turns out.